Wormtec Worm Farming and Vermicultures. Wormtec Worm Extract Organic Microbial Fertiliser was originally developed as a sporting field fertiliser at the Coombabah State School Sporting Oval, where we developed this organic fertiliser over a couple of years with constant development and onsite trials with testing at both Southern Cross University and SFI Australia for Microbial Counts. Once the development of this Wormtec Worm Extract Microbial Fertiliser was started we have continued our development and testing on School Ovals across the Gold Coast, as well as shipping product to Ovals and Sporting Fields outside of the Gold Coast Area. Now 16 years later we are still advancing our product and testing to supply the best product possible at a great price. There is more to it. FERTILISING? But what most people don’t understand is that there is more to fertilising than throwing fertiliser about on a oval, most people just treat the turf symptoms they are seeing, and never seem to get the oval as they want, they have missed the point, you should be treating the soil, The soil give life to the turf grass, Chemical Fertilisers just give short quik results but need to be done over and over again with lots of water. Chemical Fertilisers have a drastic negative effect on the soil causing soil compaction, reducing microbe numbers, altering soil Ph Levels, causing Turf Stress, Allowing Excess Thatch build up, Promote Shallow Root Growth and Turf Grass that requires lots of water, Organic Microbial Fertilisers can reduced and then eliminate these problems whilst rebuilding the life in the soil and fertilising your turf grass. The fine dust on sporting fields contains traces of these man made chemical fertilisers children and sporting players breath in this dust and chemical fertiliser residue whilst playing on these sporting fields, another cause for concern is coming in contact with the dust and chemical and the human skin leading to some skin complaints, The ground staff that do the maintenance and mowing have a even higher contact with these substances. 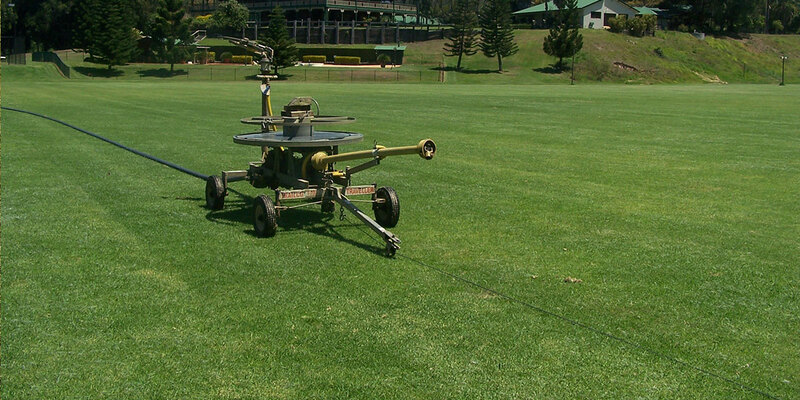 Having a school oval that has a far softer soil surface to reduce impact injuries from school sport and requires far less water usage, with more tolerance to both turf stress, pest attack and turf diseases, without the need to mechanically aerate or de-thatch the soil and turf grass. Your now ready to look at a more chemical free sustainable approach to fertilising. Without the down side of chemical fertilisers use. Here at Wormtec Worm Farming and Vermiculture we produce a full tested organic sporting field fertiliser called Wormtec Organic Worm Extract Microbial Fertiliser our fertiliser will assist you in combating all the negative impact that chemical fertilisers are having on our sporting fields, soils and Eco sensitive areas, Wormtec Organic Worm Extract Microbial Fertiliser is not a NPK fertiliser, it works by the use of micro-biology cycling nutrients for turf grass growth, whilst building microbial numbers and rebuilding soil structure Our organic fertiliser also has the ability to reduce pest and disease attacks, when used as a bio fertiliser. Products like Wormtec Organic Worm Extract Microbial Fertiliser. By utilising Soil Micro-Biology you can over come most of the problems plaging most chemical fertilised ovals, whilst producing an Oval that is very close to Drought Tolarant as you can get, with a far thicker turf grass and softer soil to reduce impact injuries from sport.